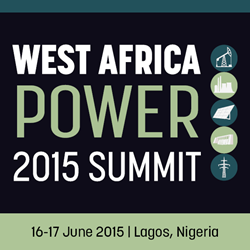 IRN, Global Summits Organiser, is honoured to announce the speaking participation of Their Excellencies, Ministers of Energy of Nigeria, Togo, Niger and Mali at the West Africa Power 2015 Summit, taking place in Lagos, Nigeria, on 16-17th June 2015. The meeting is of primary importance for African countries that are in search of ways to cover their energy demands in a secure and sustainable way. For the first time, several West African Ministers will gather to discuss the potential of the energy sector in their respective countries, meet international investors, and present many investment opportunities in the whole region. Over two days, attendees will hear a number of highly relevant, regionally focused presentations; Q&A sessions; panel discussions; tour the Egbin Power Plant, the largest power generating station in Nigeria, and network with thought leaders and global investors. This high-profile meeting will allow participants to discover where the best opportunities lie in the West African power industry and facilitate new investment partnerships. The Summit will consist of in-depth discussions on the current challenges in the West African energy sector to determine long-term solutions. Guests will also learn about legal frameworks specific to the region, and latest regulatory developments. The official Twitter hashtag to join the discussion is #WAPower.